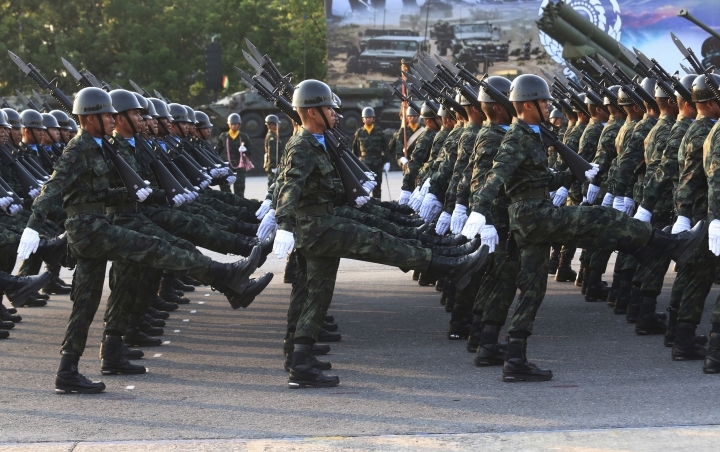 BANGKOK — Thailand's military held its annual Armed Forces Day parade on Friday as the country prepares for expected elections more than four years after soldiers overthrew an elected government. 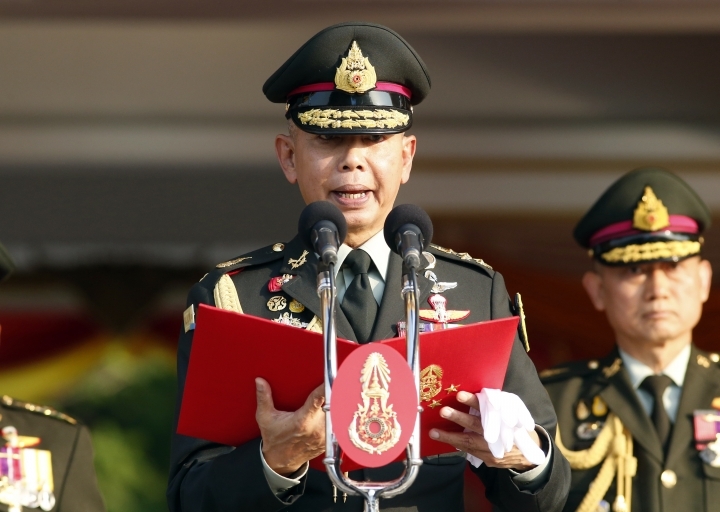 Army Commander in Chief Gen. Apirat Kongsompong, who presided over the ceremony, declined last October to rule out future army interventions in Thai political life, raising a storm of controversy. But his speech to soldiers on Friday steered clear of politics, making instead routine exhortations of loyalty to the king and the country. 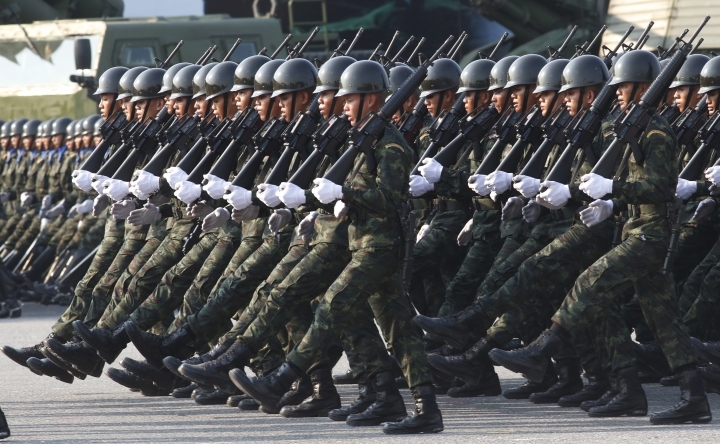 "We will sacrifice our physical and mental strength to protect the country and revere the king, and look after the people," he said. With elections expected shortly, political temperatures are rising, and pro-democracy activists have been demonstrating to pressure the government not to backslide on its promise to hold polls. Several times it has set dates for elections but then found excuses for pushing them back. It recently announced that a Feb. 24 election date it set months ago will not be possible. 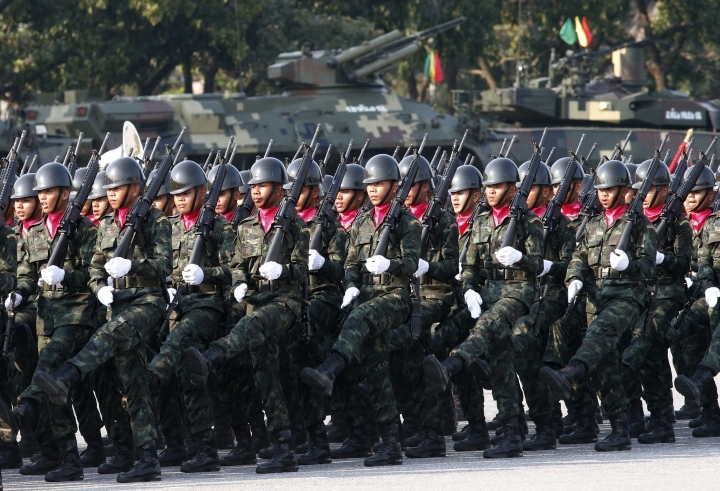 Apirat earlier this week warned protesters not to step over the line of acceptable dissent. 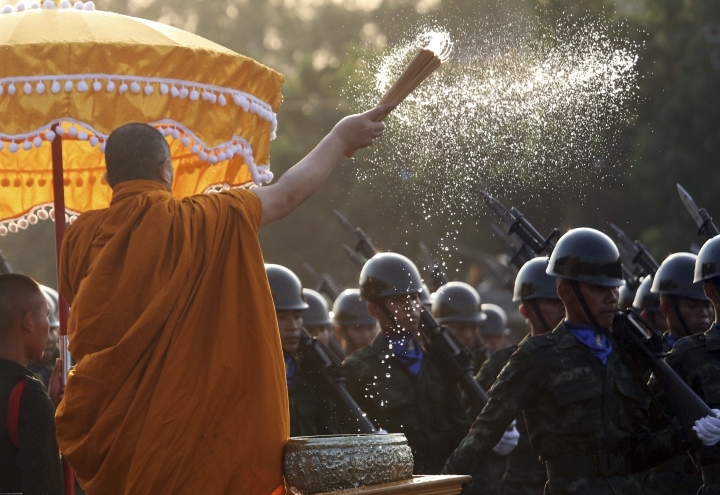 There have been small but spirited protests lately in Bangkok and several other cities over the failure to keep the election schedule. 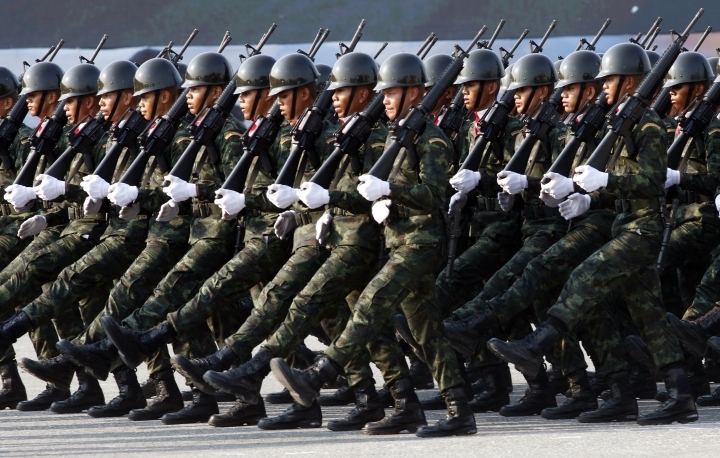 Friday's march by soldiers on a parade ground on the outskirts of Bangkok was a reminder that the army is a major force in Thai political life, regularly leaving the barracks to topple civilian governments. 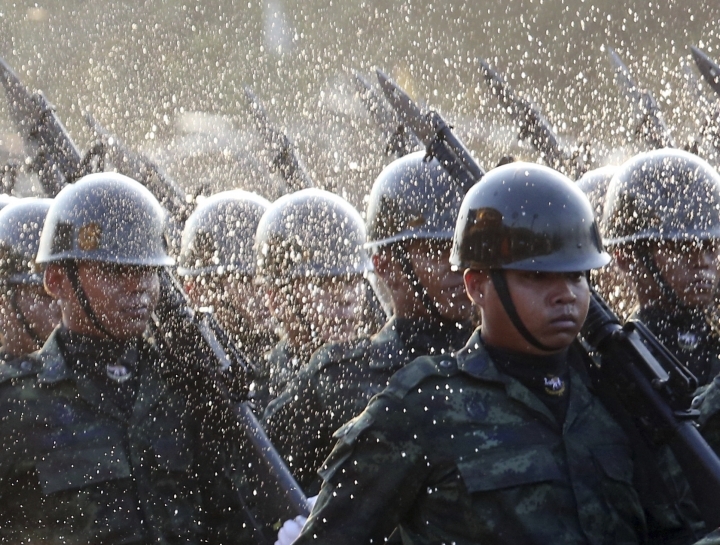 Since the end of the absolute monarchy in 1932, it has conducted 12 successful coups. 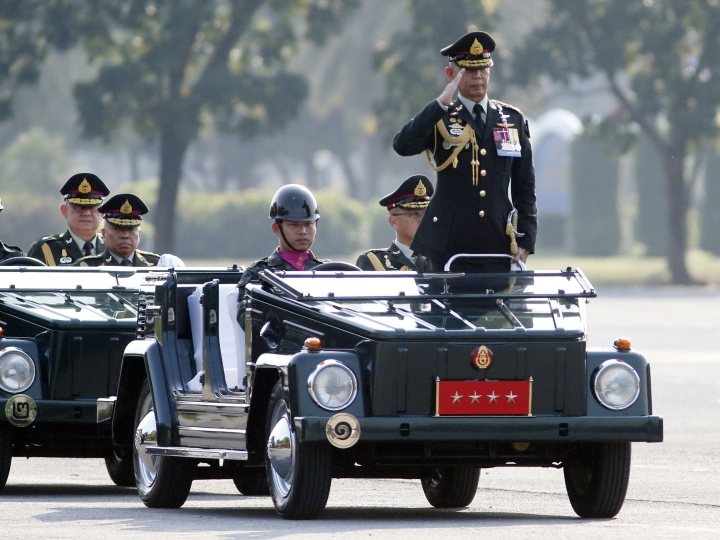 The current prime minister, former Gen. Prayuth Chan-ocha, led the last one in 2014. .
Armed Forces Day marks the anniversary of a battle 500 years ago in which King Naresuan is said to have slain a Burmese prince in a duel on elephant back.